Seldom could metals and alloys maintain excellent properties in cryogenic condition, such as the ductility, owing to the restrained dislocation motion. However, a face-centered-cubic (FCC) CoCrFeNi high-entropy alloy (HEA) with great ductility is investigated under the cryogenic environment. The tensile strength of this alloy can reach a maximum at 1,251±10 MPa, and the strain to failure can stay at as large as 62% at the liquid helium temperature. We ascribe the high strength and ductility to the low stacking fault energy at extremely low temperatures, which facilitates the activation of deformation twinning. Moreover, the FCC→HCP (hexagonal close-packed) transition and serration lead to the sudden decline of ductility below 77 K. The dynamical modeling and analysis of serrations at 4.2 and 20 K verify the unstable state due to the FCC→HCP transition. The deformation twinning together with phase transformation at liquid helium temperature produces an adequate strain-hardening rate that sustains the stable plastic flow at high stresses, resulting in the serration feature. Junpeng Liu received his PhD degree from the University of Science and Technology Beijing (USTB) in 2018. Currently, he is a Post-doctoral Fellow at the State Key Laboratory of Non-linear Mechanics, Institute of Mechanics, Chinese Academy of Sciences. His current research interest focuses on the deformation and strengthening/ductilization of advanced structural materials, such as high-entropy alloys, and high-performance steels. Xiaoxiang Guo received his Master’s degree from Zhengzhou University in 2017. Currently, he is a PhD candidate at the School of Mathematics and Statistics, Zhengzhou University, China. His current research interest focuses on the mathematical applications in materials science. Zhanbing He received his PhD degree in materials science from Dalian University of Technology in 2005. He did scientific research at Stockholm University, Swiss Federal Institute of Technology in Lausanne (EPFL), and Ecole Polytechnique from 2005 to 2013. He joined the State Key Laboratory for Advanced Metals and Materials at the University of Science and Technology Beijing in 2013 as a full Professor. His research interest is in TEM, quasicrystals, and high-entropy alloys. Yong Zhang received his PhD degree in materials science from USTB in 1998. He did post-doctoral work at the Institute of Physics, Chinese Academy of Sciences. Then, he joined NUS-MIT SMA in 2000. He has been a Professor of materials science at USTB since 2004. His research interest is in high-throughput preparation of high-entropy alloys, and theory prediction of the phase formation for the multicomponent materials. 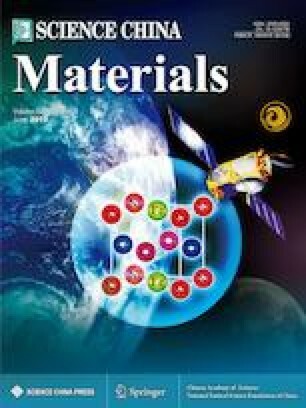 Supplementary material is available for this article at https://doi.org/10.1007/s40843-018-9373-y and is accessible for authorized users. 低温环境下, 位错的运动受到限制而导致极少数的金属和合金能保持优异的力学性能, 尤其是塑性. 本文研究了具有面心立方结构的CoCrFeNi高熵合金的超低温服役, 发现其在低温环境下具有优异的综合性能. 4.2 K时的拉伸强度达到1260 MPa, 同时延伸率达到62%, 展现出极强的低温应用潜力; 超低温环境下, 高熵合金极低的层错促进了变形孪晶的产生, 使其表现出高强高韧的优异力学性能. 此外, 在液氦环境下, 该合金中FCC-HCP的相转变和锯齿流变行为使得合金在77 K以下温度的塑性降低; 同时, 关于锯齿特征的动态模型分析证实由于相变行为的出现导致该合金中锯齿行为的不稳定特点. 液氦环境下, 大量的变形孪晶和相变行为的共同作用导致了较高的应变硬化率, 从而使高熵合金的塑性变形维持在较高的应力水平, 并且形成了锯齿特征. This work was supported in part by the National Natural Science Foundation of China (51471025, 51671020, 51471024 and 11771407); the Department of Energy (DOE), Office of Fossil Energy, National Energy Technology Laboratory (DE-FE-0011194) with the program manager Dr. J. Mullen; the support from the US Army Research Office project (W911NF-13-1-0438) with the program managers Drs. M.P. Bakas, S.N. Mathaudhu, and D.M. Stepp; the support from the National Science Foundation (DMR-1611180 and 1809640) with the program directors, Drs G. Shiflet and D. Farkas. We also thank Prof. WH Wang at the Institute of Physics, Chinese Academy of Sciences, Prof. XL Wang at the City University of Hong Kong, and Prof. K Samwer at the University of Göttingen for their insightful and constructive comments on this paper. We appreciate Dr. RJ Huang, SF Li, and Z Zhang at the Key Laboratory of Cryogenics, Technical Institute of Physics and Chemistry, Chinese Academy of Sciences, for their help on mechanical tests.